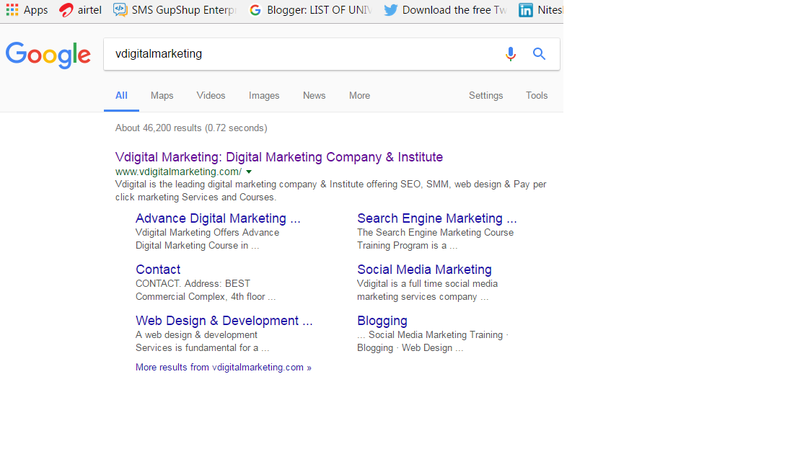 Google Sitelinks are little sub-listings that appear under the first result in the search result. Usually when searching for brands. There is no direct way to get Sitelinks for your website. You can’t just log into Google’s Search Console (Previously Webmaster Tools), flick a switch and get Sitelinks. Unfortunately, there are no fixed steps that you can follow to get Sitelinks on your website, but you can follow a process to increase your chances of getting Sitelinks. The first step in getting Sitelinks is to make sure that you use a unique brand name for your site. For example, if your website is called ‘The ice cream company’ it is likely that it will never gain first result on the first page because the term is too generic. There could be thousands of companies that make ice cream all around the world. How can Google figure out which one is yours? In rare cases, brand names will qualify for the first page result even though they have generic name. Apple is a great example of this. Based on the intent of users Google knows people who are searching for ‘Apple’ want to know about the company Apple and not the fruit. But this example only works because it’s Apple – smaller brands don’t usually have that luxury where generic brand names are concerned. I’m not suggesting you change your website/brand name just to get Sitelinks. It’s a lot of effort to go to, and as your brand grows, the chance of getting Sitelinks grows too. But, if you are at the stage of registering your domain name, or deciding on a name for your business – avoid using keyword matching domains. Go for something more unique. Websites that have clear hierarchy and structure are easy to crawl and navigate for Google. If Google can’t find all the pages on your site and understand their position relative to each other, it won’t be able to show Sitelinks. What this means is to keep your homepage as the “root” page. This is the most visited page and the starting point of navigation for your visitors. From this page, help visitors find other pages on your site. Your site structure needs to be logical, intuitive and organized. Guess who deserves Sitelinks? The first search result, of course. 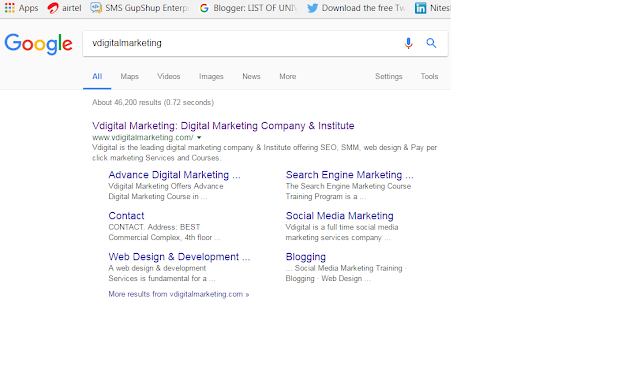 There is no second search result that gets Google Sitelinks. If you search for “New Yorker”, the NewYorker.com (the magazine) site gets Sitelinks, not NewYorker.de (a German fashion label) by virtue of its superior ranking. Once you reach #1 position for your website name, it gets much easier to get Sitelinks. A sitemap helps Google crawl your site better. It not only increases coverage of your webpages, but also defines the most important pages of your website. Google responds on the basis of priority and the traffic you are receiving on your pages. If you haven’t got an account, or added your website to your Google Search Console account – follow these steps. To add your sitemap, log into Google Search Console and click on your website. On the dashboard, click on the “Sitemaps” link. The jury is still out on how helpful internal links are for SEO, but they do tell Google what the most important pages on your site are. For instance, if you repeatedly link to a product page, Google might take that as a signal for judging the importance of that page. The page title is one of the most important on-page SEO elements on your website. Having the right page is title is extremely crucial. Google looks at these titles to provide Sitelinks. Make sure page titles are a short description of the pages themselves. These should be logical and in-line with visitor expectations. This means you shouldn’t name your “About Us” page something like “Get to Know Us Better”. This might confuse Google and you might get absent or duplicate Sitelinks. Raising your brand awareness is a never ending process. But how much is awareness is enough to get the Sitelinks? Make sure that enough people know about your website. You want to be a reputable website and you want people to find out about your website because we don’t do it for every single query. You need to spread your brand name and make it reputable. There are a lot of ways to go about it. Thanks for sharing such a great information, Hope you will publish more.